This is still a blip on the long-term chart but that’s an increase of almost 2% in a little over 2 years. We finally have that rising rate environment everyone has been clamoring for since 2009 or so. And as we all know, when interest rates rise…say it with me now…bond prices fall since rates and prices have an inverse relationship. So the bond funds you own are down. They aren’t getting crushed but they are down. Zero coupon bonds and long-dated treasuries have been dinged the most. This is because higher rates and higher maturities lead to higher volatility and interest rate sensitivity, all things equal. All else is not always equal when it comes to changes in rates as the yield curve has been flattening in this time, meaning short-term yields have been rising more than long-term yields so not all bond investments have reacted with equanimity to the changes in rates. For instance, the short end of the maturity spectrum has seen the largest rise in rates relative to the other segments of the bond market. Since the 10-year yield bottomed in July of 2016 the one-year treasury yield has gone from roughly 0.5% to just over 2.6%. But the 1-3 year treasury ETF (SHY) has seen shallow losses in that time. This is one of the benefits of short-dated bonds in a rising interest rate environment. The proceeds from maturing bonds can be reinvested into new, higher-yielding bonds sooner. TIPs have also held up well because inflation expectations have been on the rise. The aggregate bond market (BND) is still down just a tad under 3% in this time, not exactly a crash but it is something new to fixed income investors. Bond investors have rarely seen losses like this over the past 40+ years. There was a hiccup in 1994 when the Fed unexpectedly raised rates and the taper tantrum in 2013 but the small magnitude of losses in the Bloomberg Barclays Aggregate Bond Index since inception since 1976 is nothing short of amazing. That’s it. So any further moves higher in rates could lead to the worst year since 1976 in terms of overall bond returns. 1969 also happened to be the last year both the S&P 500 and 10-year treasuries were negative in the same year. There have been (and will be more) headlines about the “carnage” in the bond market. It’s important to put these losses in perspective from an overall portfolio perspective. It’s possible there are investors out there who don’t expect to see their bonds go down. Unfortunately, that’s just not the case. Bond risk is nowhere near the risk of investing in stocks but there is always the risk of nominal losses from rising rates and real losses from inflation. The good news for fixed-income investors is yields are now higher than they’ve been, especially when it comes to short-term bonds and cash-like vehicles. 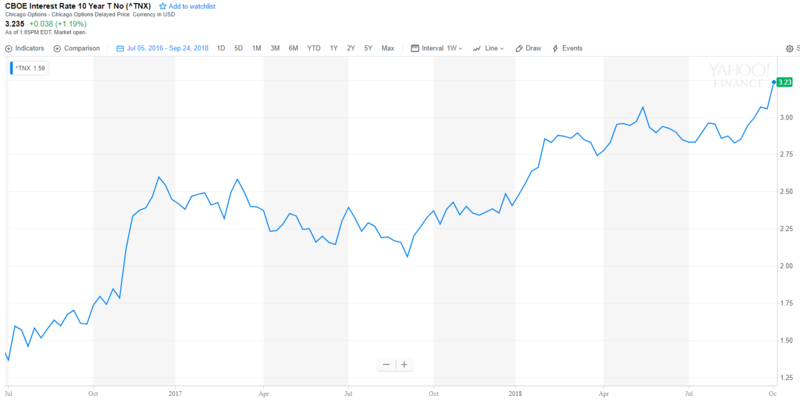 Rates could always continue to go higher and cause more pain for bond investors but the best way to increase long-term expected returns in this space is to invest at higher yields. This is finally a reality after a couple years of rate hikes. Bond investors must remember that the short-term pain they’re experiencing will eventually be a good thing for their returns. 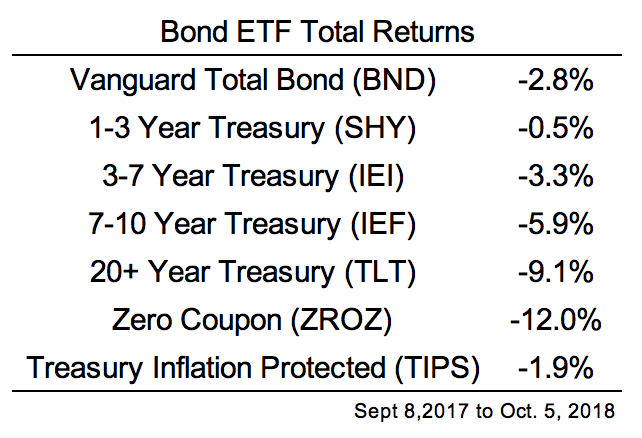 Expected returns rise as interest rates rise because interest rates are the best predictor of long-term returns in bonds. Bond investors have been getting an income raise for a couple of years now. Many just don’t know it yet but it will help eventually. How much it helps over the short-term will depend a lot on the path of rates from here. Over the long-term, higher interest rates will be a good thing for bond investors who can deal with the current volatility.